We will introduce ourselves, discuss what the class is and what it is not, and start talking XYZ Robots. Let’s introduce ourselves, talk about our backgrounds, and discuss what we want to get from the class. What are we most excited about? What are we worried about? We will be designing and building robots. But our robots will be constrained. Most likely, we won’t be making walking, talking, or flying robots in this class. Our bots will live in a contained space and probably do one specific job. 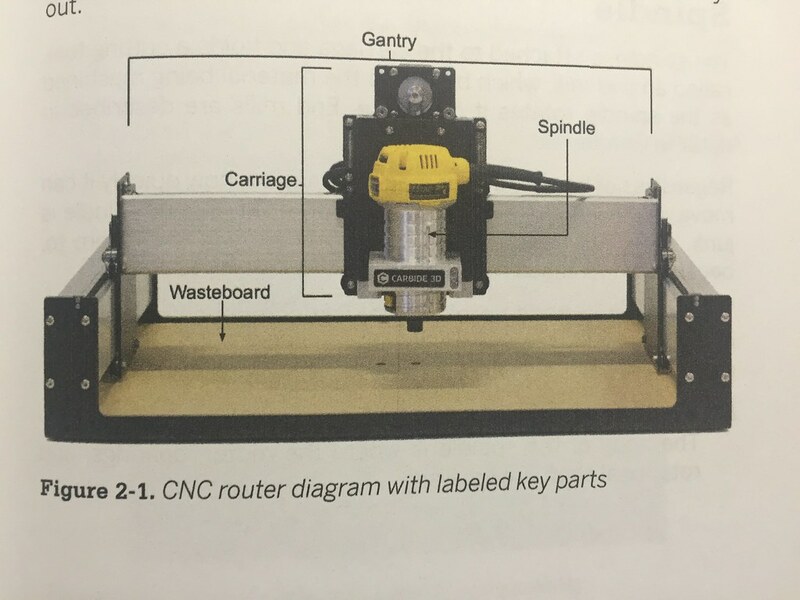 Initially, we will rely heavily on off-the-shelf CNC kits. We will learn by assembling them. We are creating robots that travel in a system. There will be a lot of in class work sessions. Work Hard, 14 weeks is not a long time to make functional machines. There is no time to waste. The harder you work, the more you get out of it. Team Work, you will all be working in teams. Be open to each other’s ideas. Play to your strengths and your weaknesses. Documentation. Document early, document often. Actuation – What will move our robots? Steppers, servos, belts, lead screws, etc. Control – How will we control our actuators? Micro controllers, motor shields, CNC boards. Dancing With Robots – How do people interact with our robots? What do we do well, what do they do well? Every week we’ll look at an XYZ robot video. Hopefully they will spark discussions and get the creative juices flowing. We will study machines we have direct access to. Not necessarily for what they do, but for how they do it. How do they actuate? How many motors? What are the control boards? Power supplies? Software? We will be working within the Cartesian Coordinate System (3 axes). Our XYZ Bots can be called Cartesian Robots or Gantry Robots. Typically, the distance traveled in the Z axis is much smaller than the X and Y.
Gantry – The gantry spans the X axis (left to right) and travels forward and back along the Y axis rails. Head (Spindle) – The head is where the work is done. It typically moves up and down along the Z axis. Table (Wasteboard) – The table is the work zone. Items and materials can be fastened to the table. Those items and materials (even the table) can be manipulated by the head. The Makeblock XY Plotter Kit is a drawing robot that can move a pen or other instrument to draw digital artwork on flat surface. This kit consists of over 60 kinds of components from Makeblock, including beams, brackets, motors, etc. Here’s the picture of all the components. XY Plotter V2.0 can be controlled by 2 software, mDraw and Benbox. You, and your team, will assemble and get your Makeblock XY Plotter functional. Everything is due Week 3, and you will be presenting in class.